Sam Houston State University Bearkats live by a motto: “The Measure of a Life is Its Service”. In the spirit of this, Student Legal and Mediation Services will be hosting its Second Annual Donation Awareness Project. This project aims to help save the lives of those in need of life-saving blood, organ, tissue, and bone marrow donations in Texas, and educate students on how they can give back to others in many different ways. This 4th blog post in the series will discuss Organ Donation. Organ Donation is the donation of one or more organ(s) from a living or dead person to a living recipient that is in need of a transplant. Transplantable organs and tissues are removed in a surgical procedure after determining if the organs are suitable for a transplant. One organ donor can save about 8 lives. The best part is that organ donation is FREE. Anyone over the age of 18 is eligible to register for organ donation. However, some states allow minors register as organ donors as well. The U.S. Department of Health and Human Services have a website (http://organdonor.gov/register.html) where you can register to be an organ donor. Each state has its own set of laws, so when you register, each state informs you know what organs or tissues you are allowed to donate, then you specify which organs you want to donate. Another way to register as an organ donor is to check the box that says “Organ Donor” when you go to your nearest Department of Public Safety Center and renew or get a new driver’s license. It is always suggested that you let your nearest family members and friends now your intentions on becoming an organ donor so that if and when the time comes, they will know to respect your wishes. How Student Legal and Mediation Services can help you. Drafting your will. This is a legally binding document that holds all your final wishes and what you wish to do with your belonging and your body once you no longer have a voice. This is a step to ensure that your wishes will be carried out step by step as you planned. 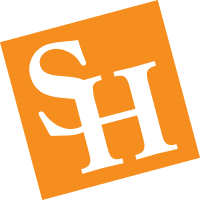 If you’d like our help, set up an appointment at any time by calling our office at (936)294-1717 or going to the website https://www.shsu.edu/slms and click on “Appointments” to set an appointment yourself. On November 8th in the LSC Ballroom, Student Legal and Mediation Services will be hosting a blood drive and tabling event from 9:00am-3:00pm. The event will include registration tables for those that want to register and learn more about bone marrow and organ donation, as well as other tables from a variety of on and off campus organizations. For more information concerning the blood drive, volunteering, or the other resources our office offers, give us a call at 936-294-1717 or visit our office in the Lowman Student Center, Room 330.